The spiral represents growth, infinite expansion, introspection, and a centered state of awareness. It is one of the oldest known symbols and to me, one of the most powerful. 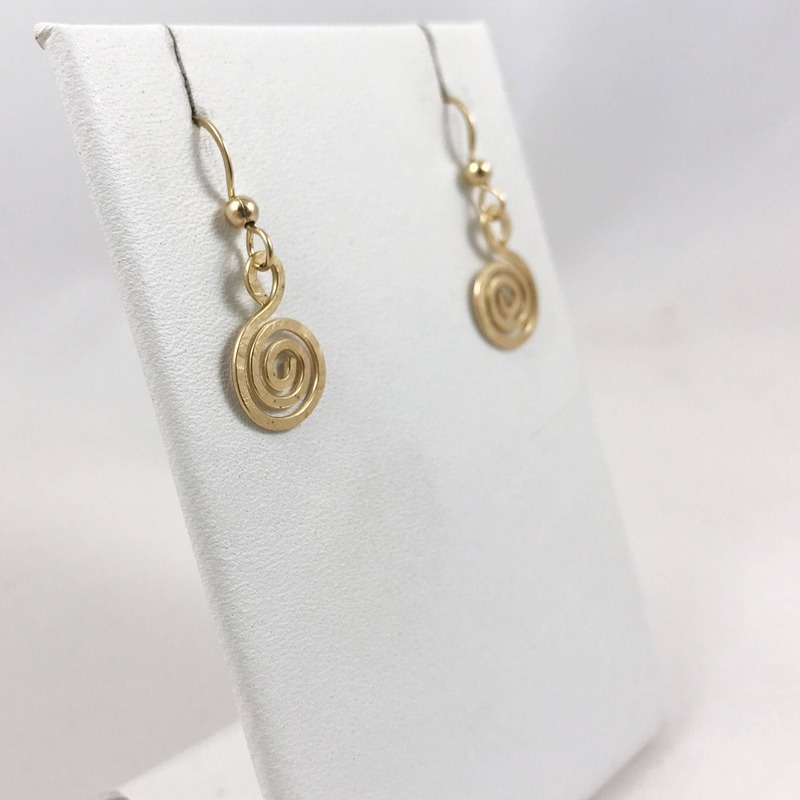 These simple and beautiful hammer formed Koru spiral earrings are 14k yellow gold filled and feature a subtle hammer texture. 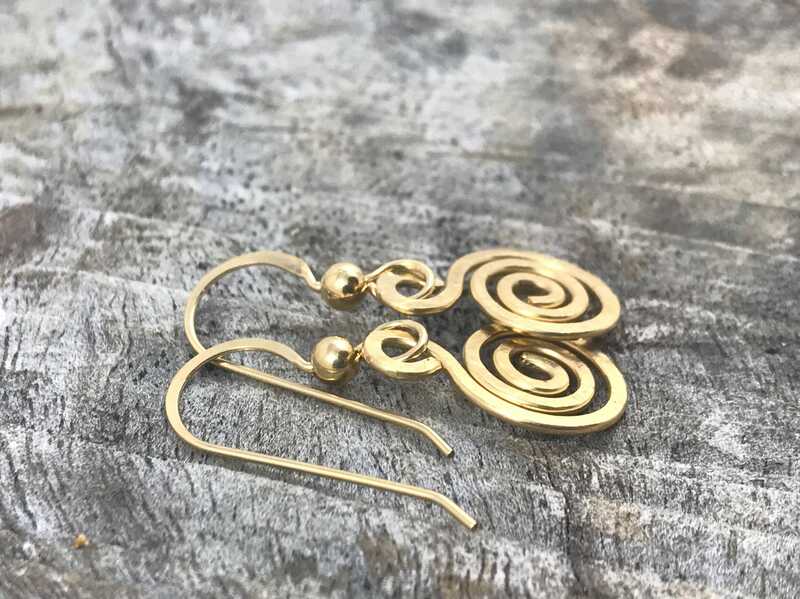 They are lightweight and comfy to wear, they move and catch light in a lovely way and they are my go-to earring design to wear with almost everything. 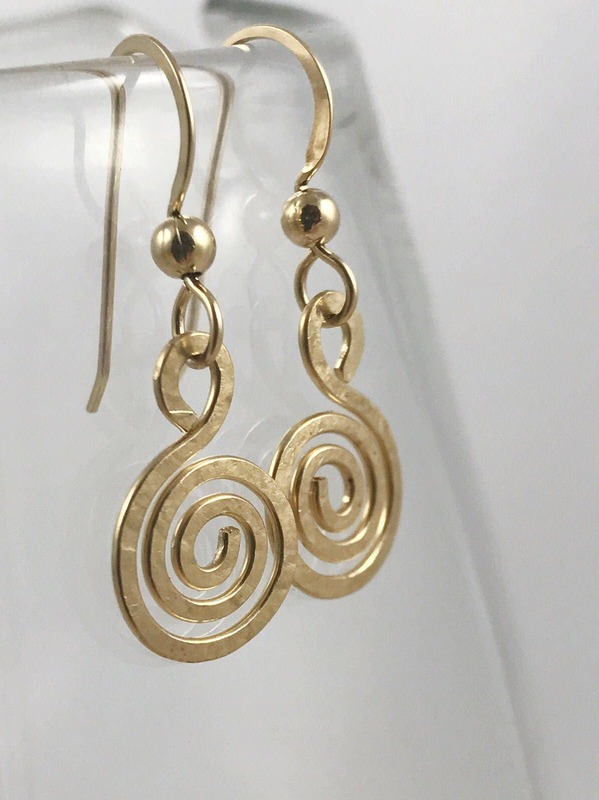 -Earrings are 14k yellow gold filled, including earring hooks. 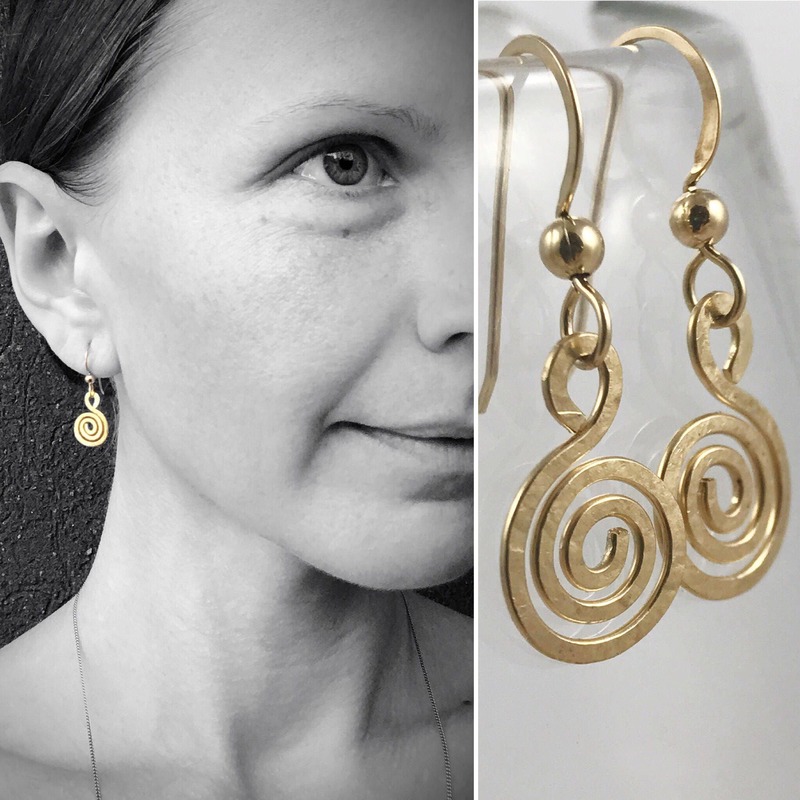 -Total length of earrings from top of earring hook to bottom of spiral is 30mm (1 3/16"). 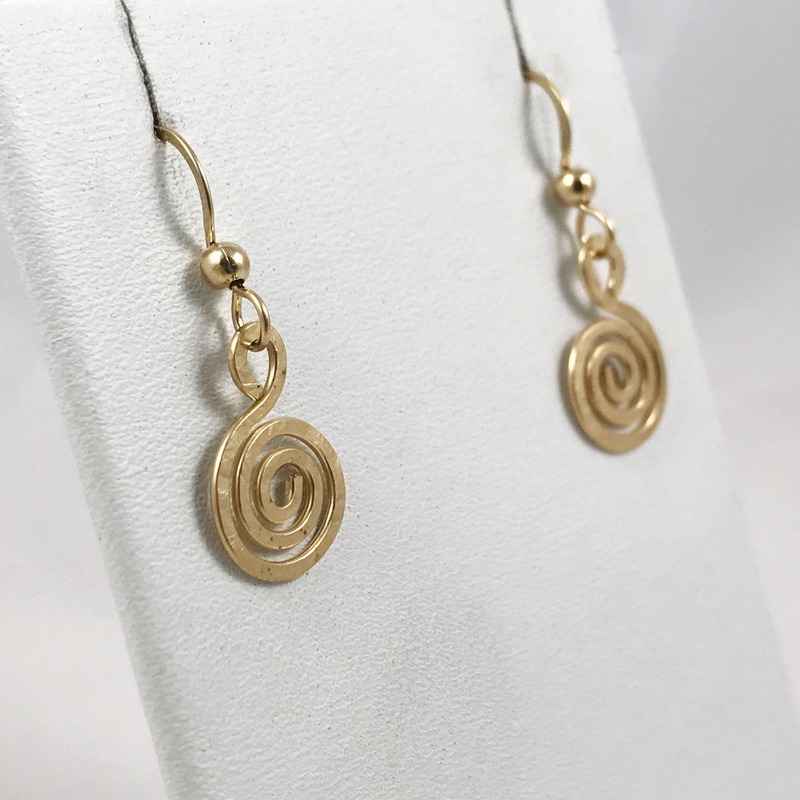 -Gold filled spirals are 16mm (5/8") length and 11mm (7/16") width at their widest point. -These are hammer formed and each pair has slight variances and it's own subtle texture features, but will remain true to the design shown here.